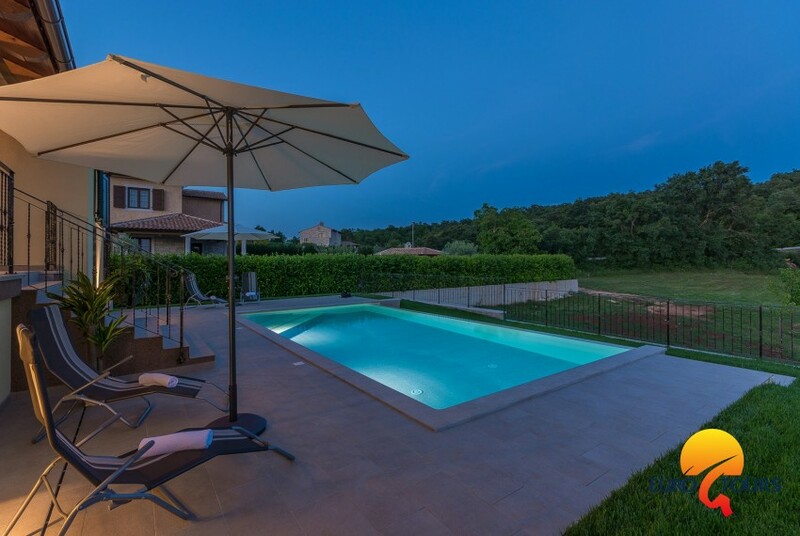 Modern house with pool and beautiful landscaped environment in a quiet location. 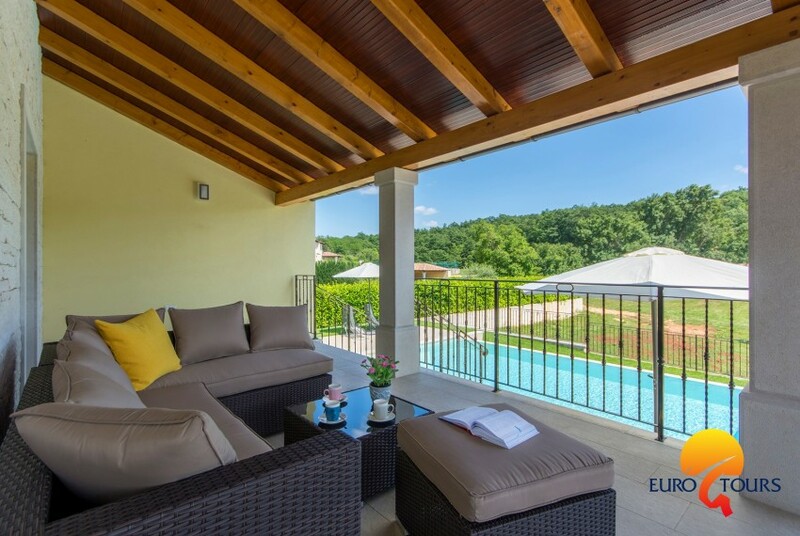 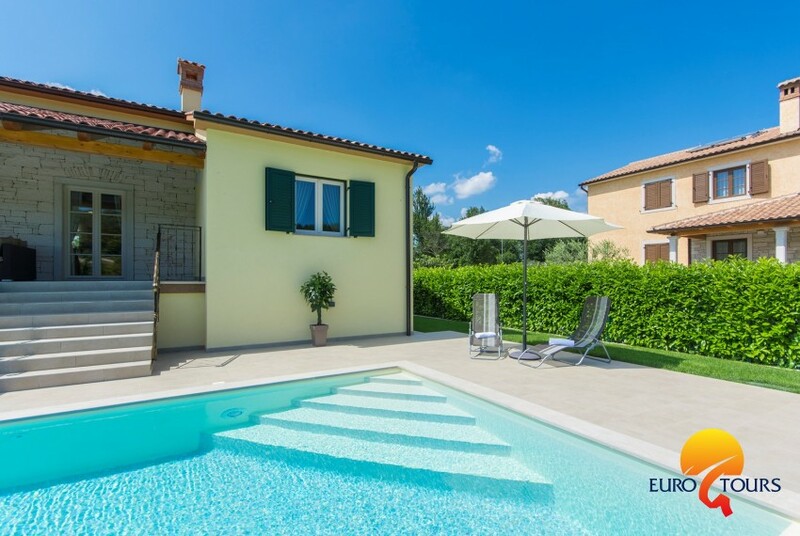 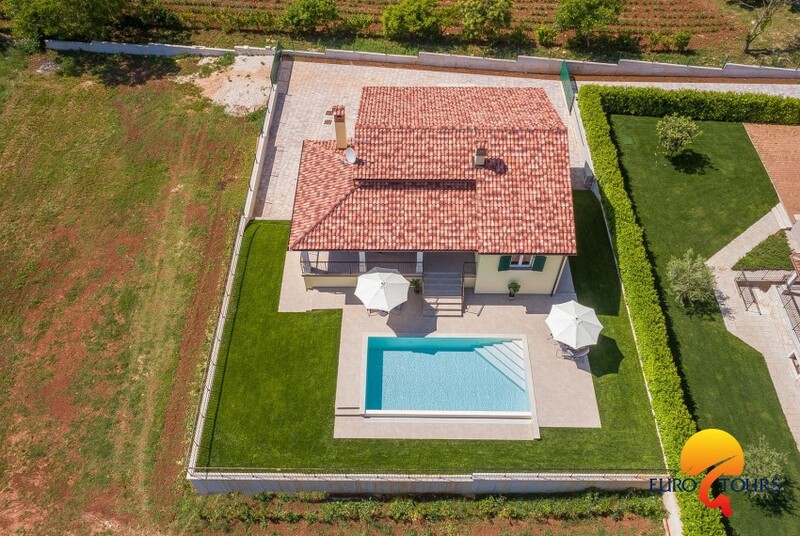 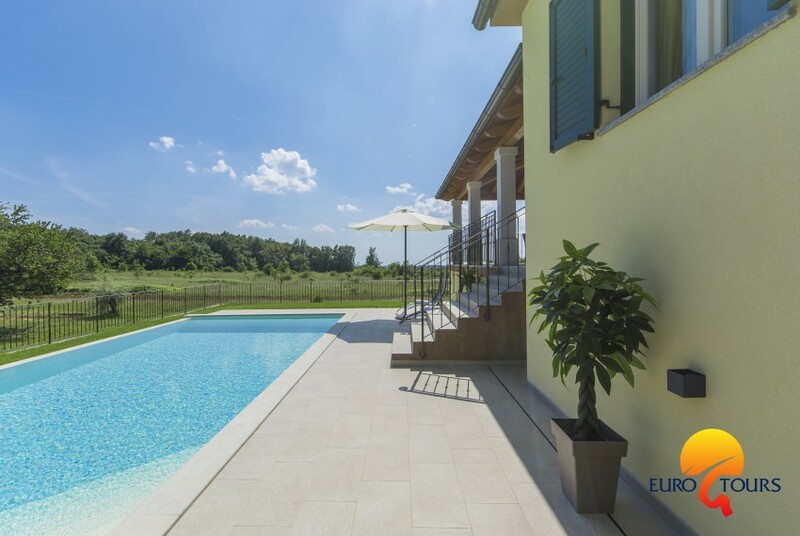 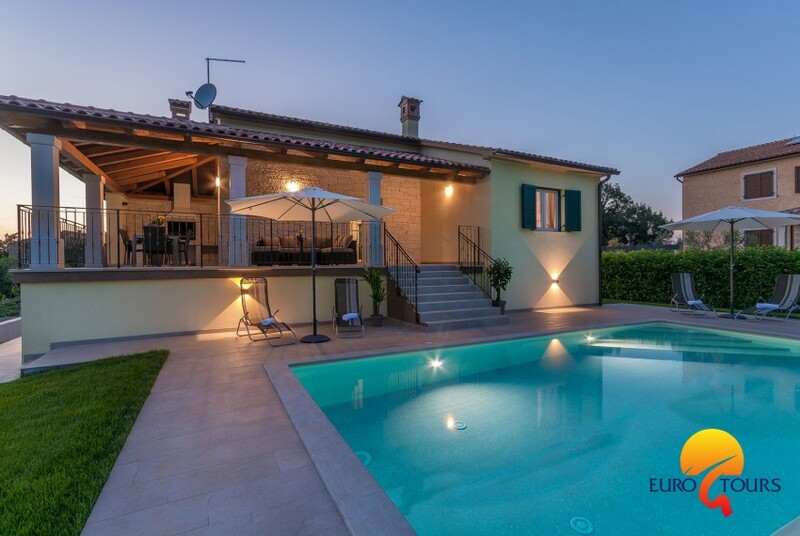 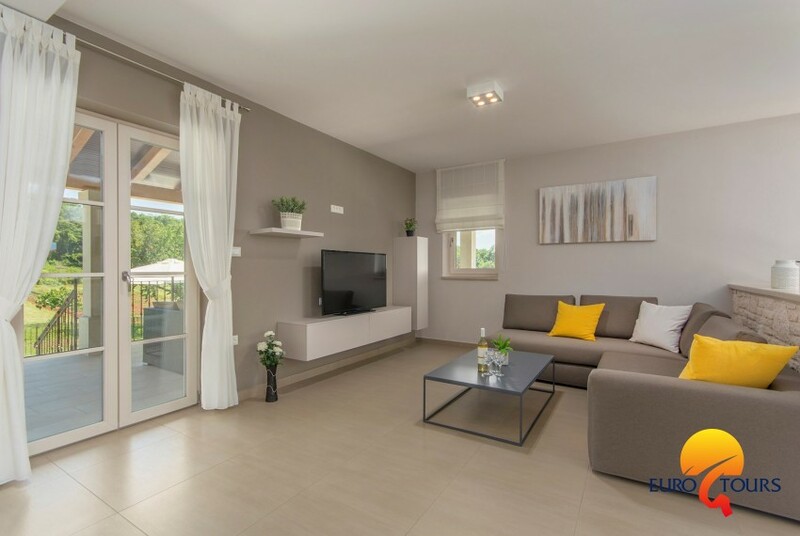 A modern holiday house on a quiet location with a private pool for 5 people, ideal for a quiet family holiday in the beautiful and mysterious interior of Istria. 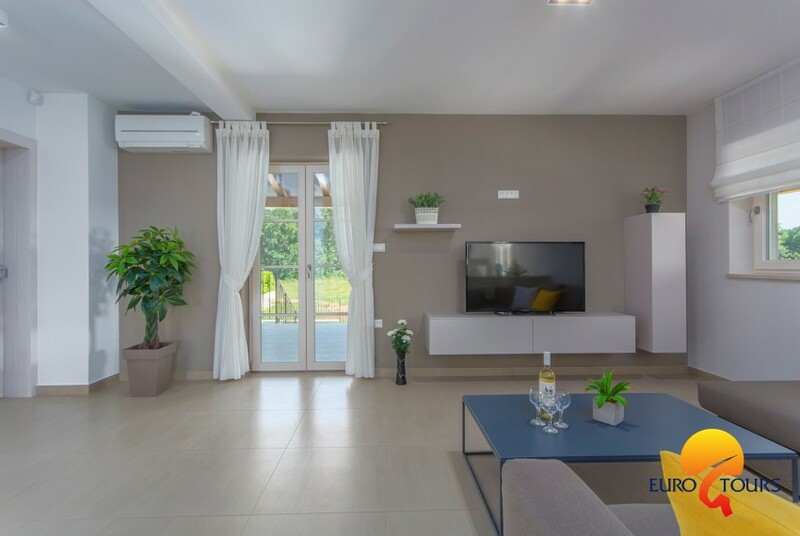 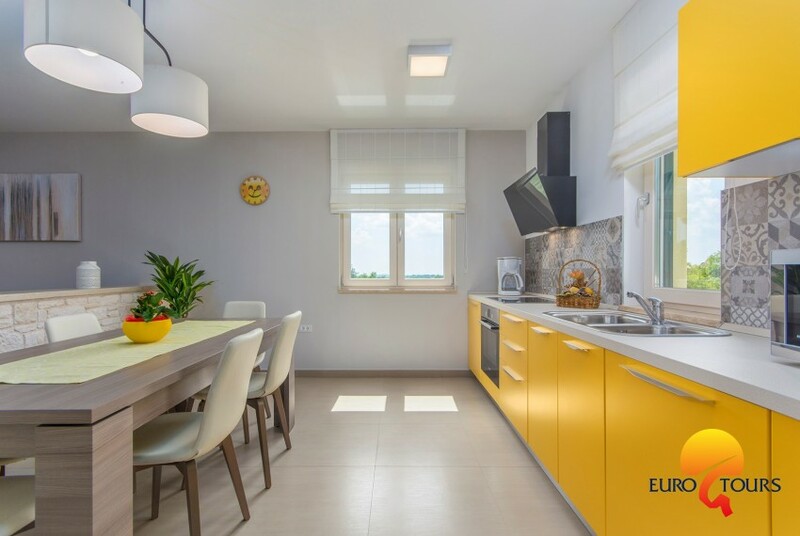 The house consists of a fully equipped modern kitchen and a living room with a sitting area and an entrance to a covered terrace and a swimming pool with salt water. 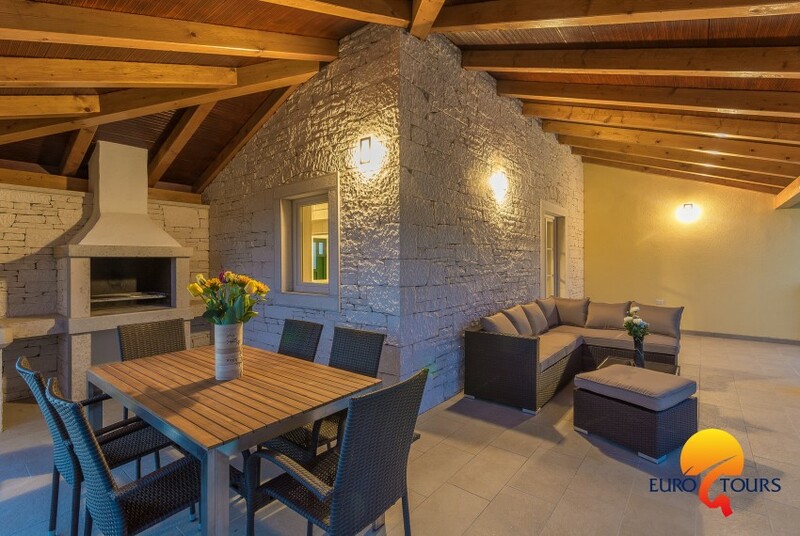 The interior of the house is modernly equipped, as well as two comfortable bedrooms with private bathrooms. 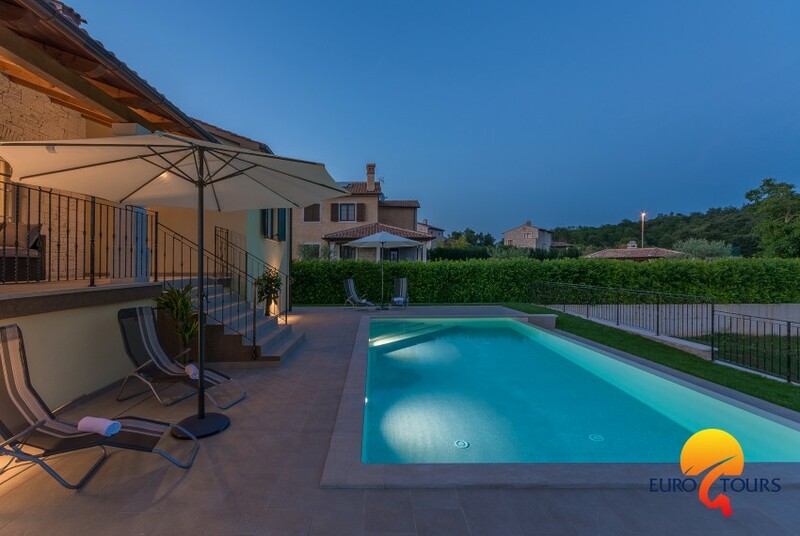 Beautifully landscaped each corner of the garden is ideally suited to the crystal clear waters of the saltwater pool. 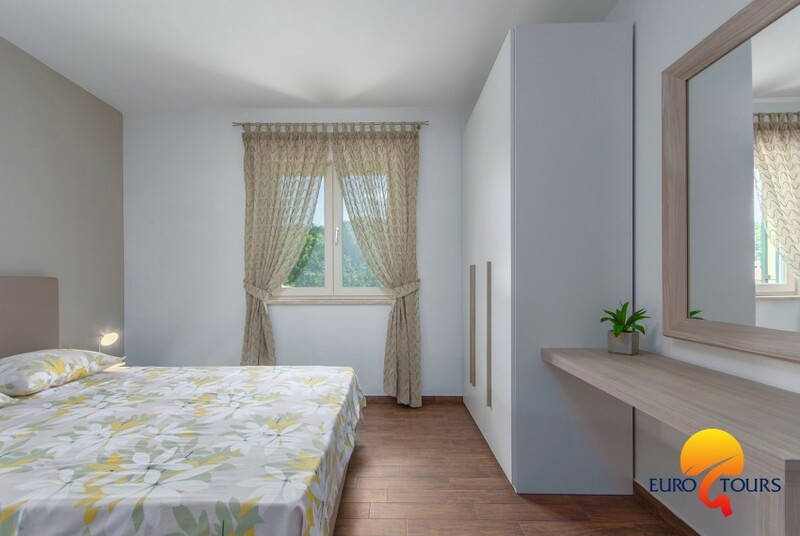 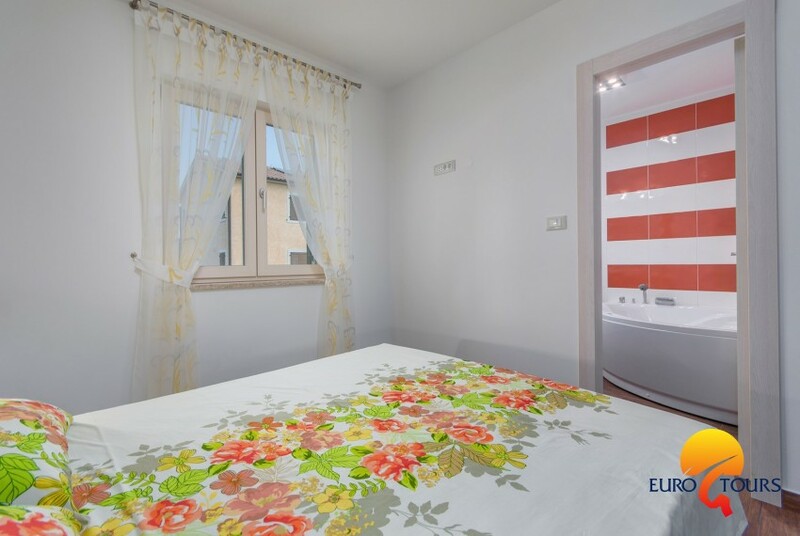 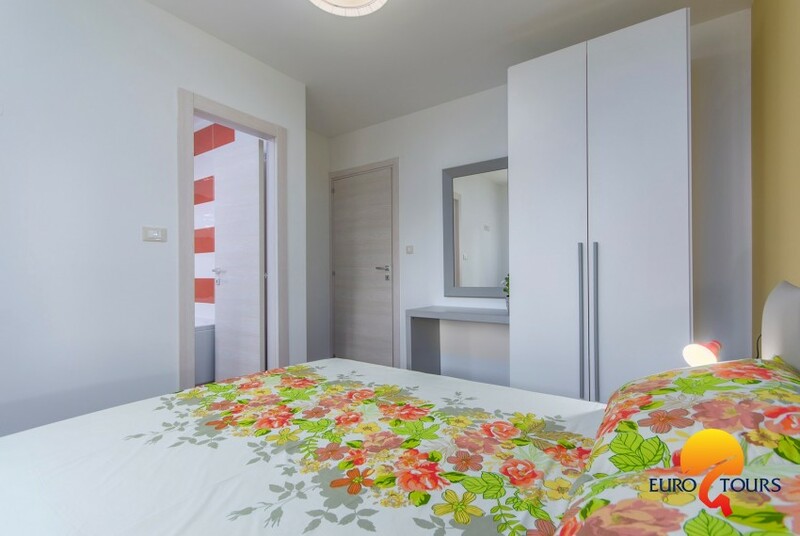 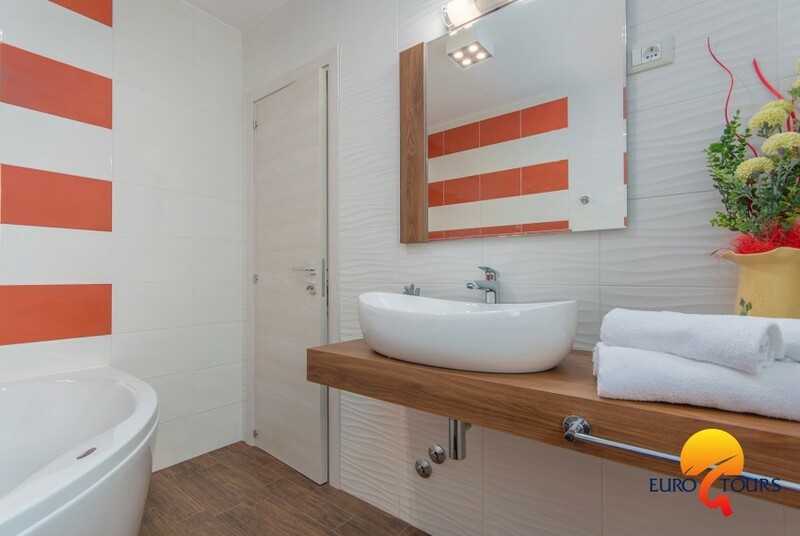 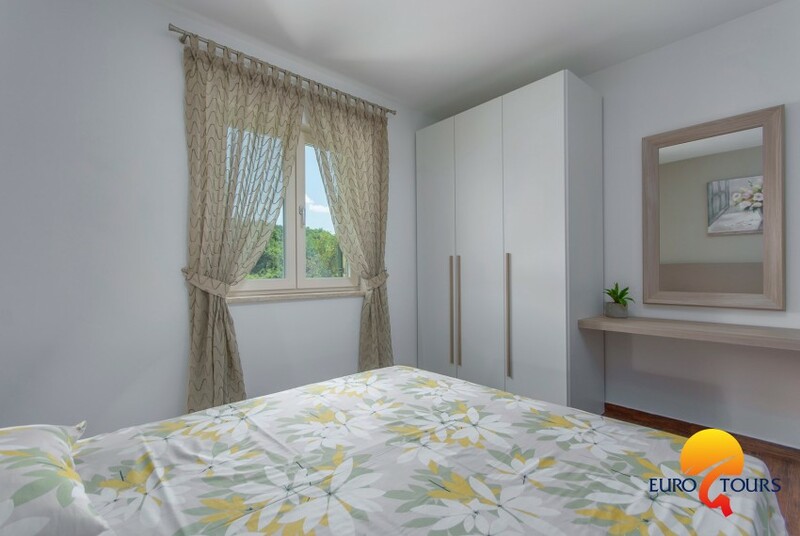 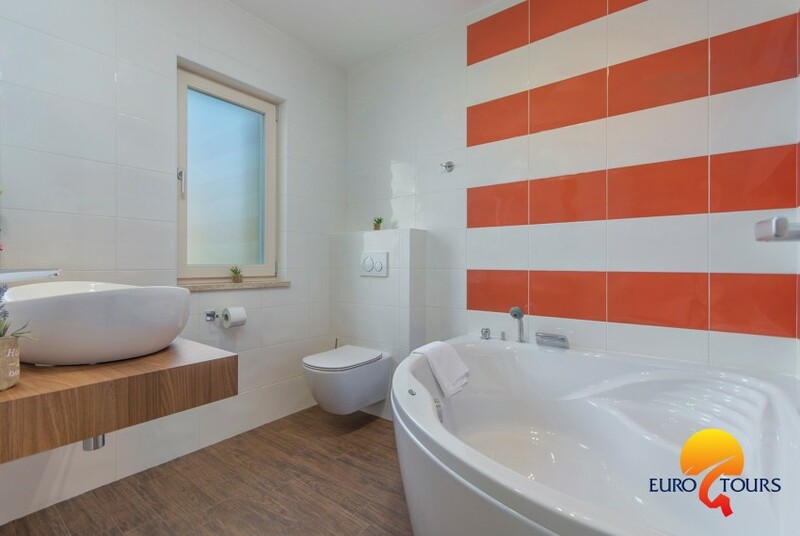 Included in the rental price are internet usage, bed linen, and towels. 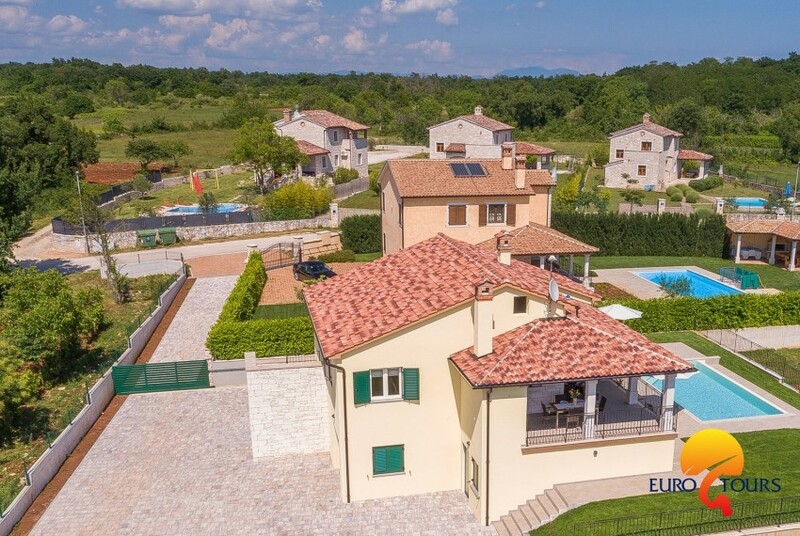 Private parking is located inside a closed yard. 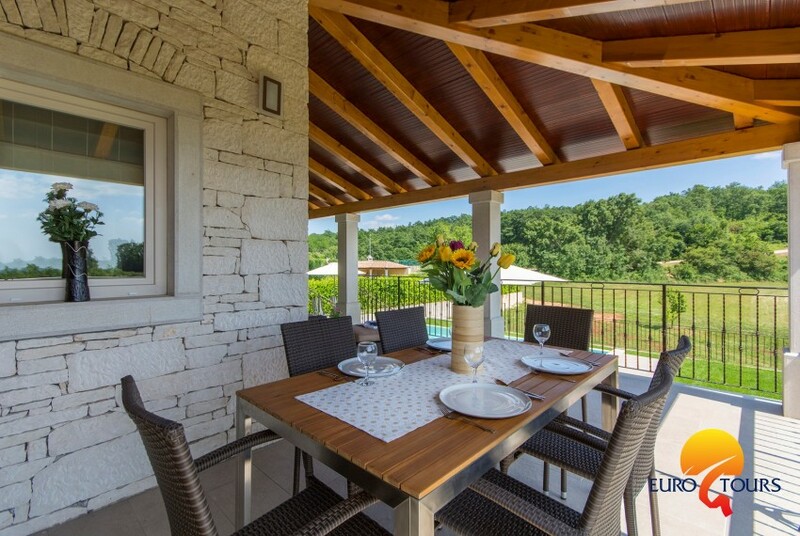 Dubravci is only a few kilometers away from the center of the town of Kanfanar and the famous historical site of Dvigrad. 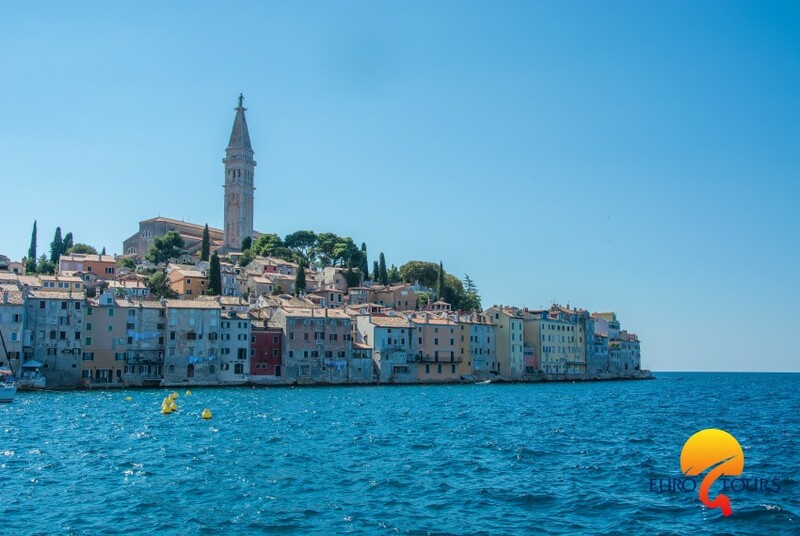 In just 30 minutes by car you arrive to the first beaches of Rovinj, also known as Istrian Venice. 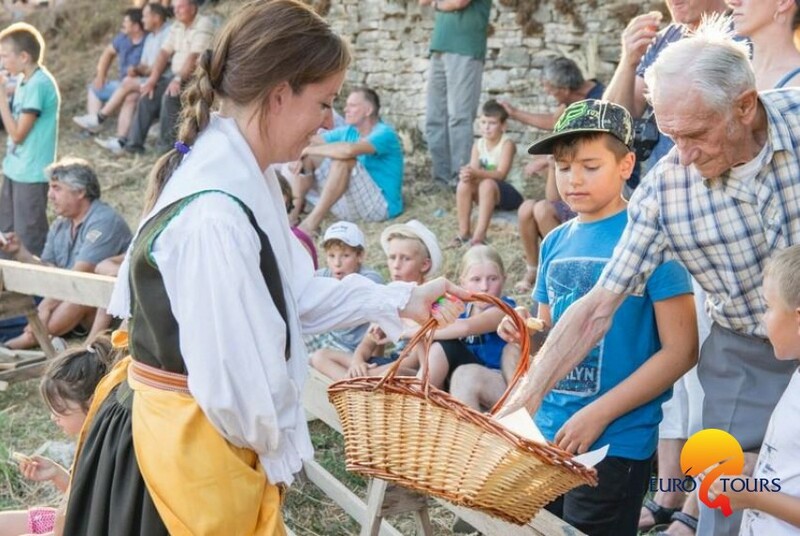 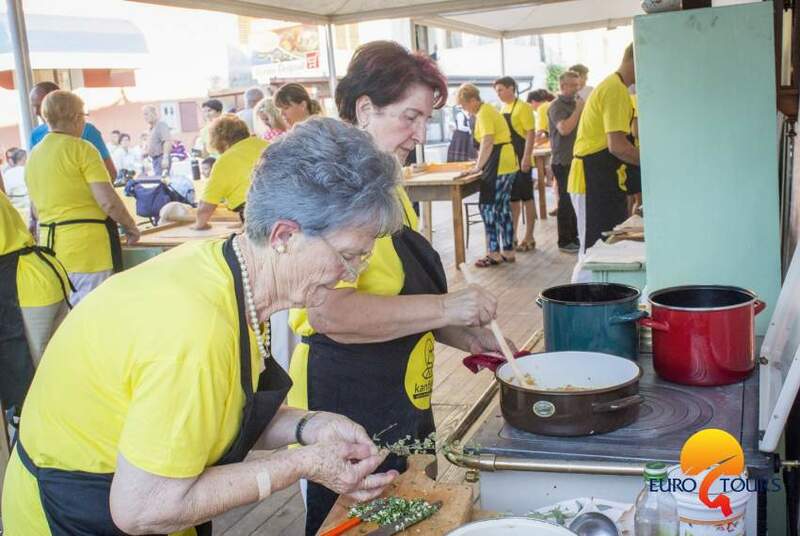 In the vicinity of Kanfanar there are several very famous Istrian restaurants where you can enjoy local Istrian specialties. 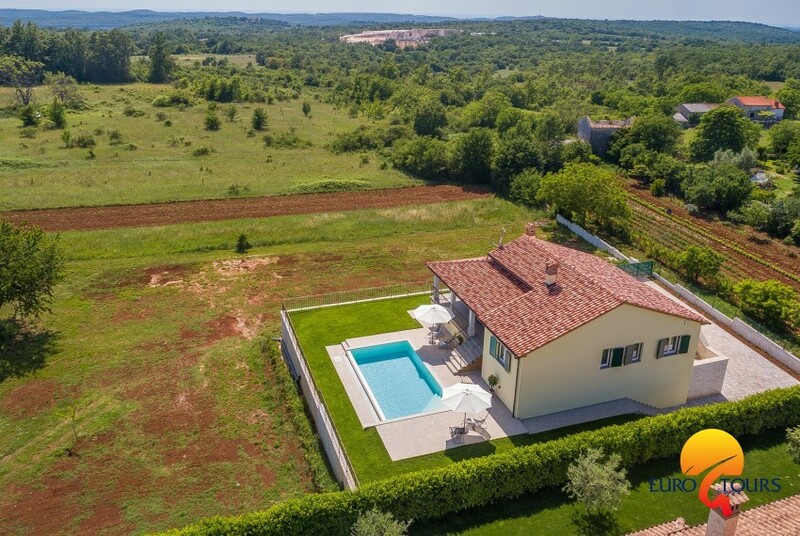 Istria is the largest green oasis of the North Adriatic and the largest peninsula of Croatia, surrounded by crystal clear blue sea. 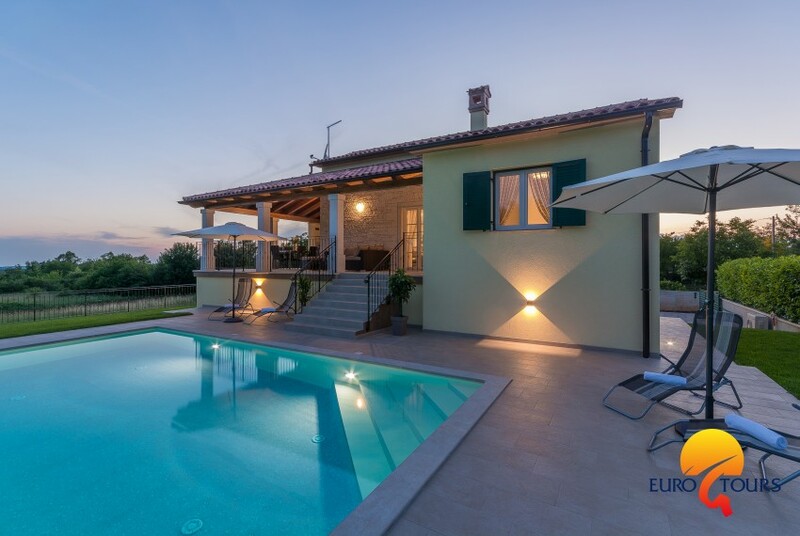 On the coast you will find beautiful Mediterranean cities, while the greenery of the inland has numerous cultural-historical and natural sights as well as hilly places with fantastic views of the restful surroundings. 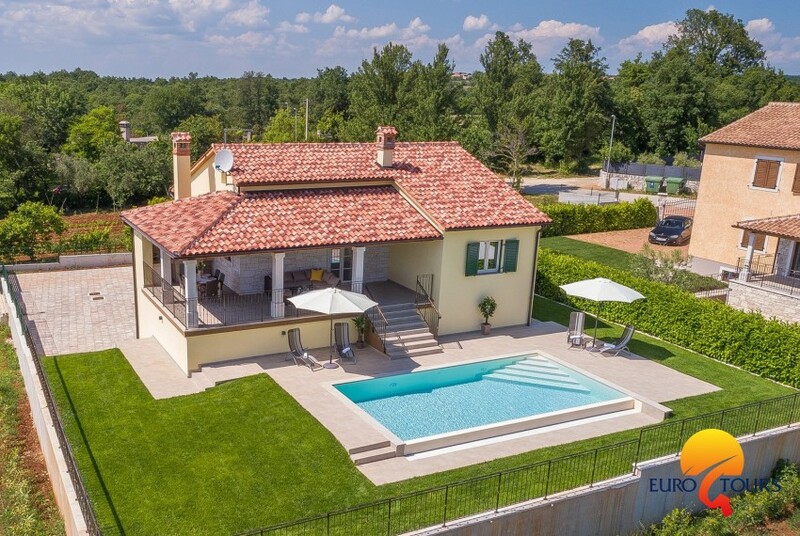 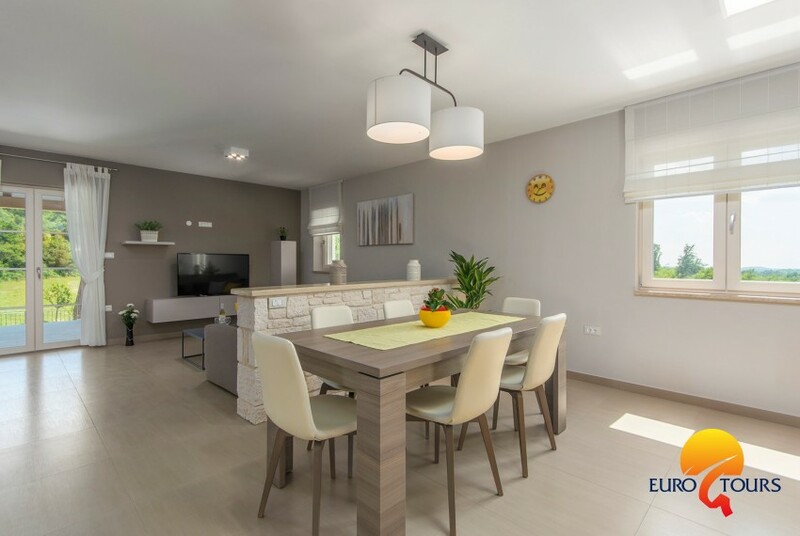 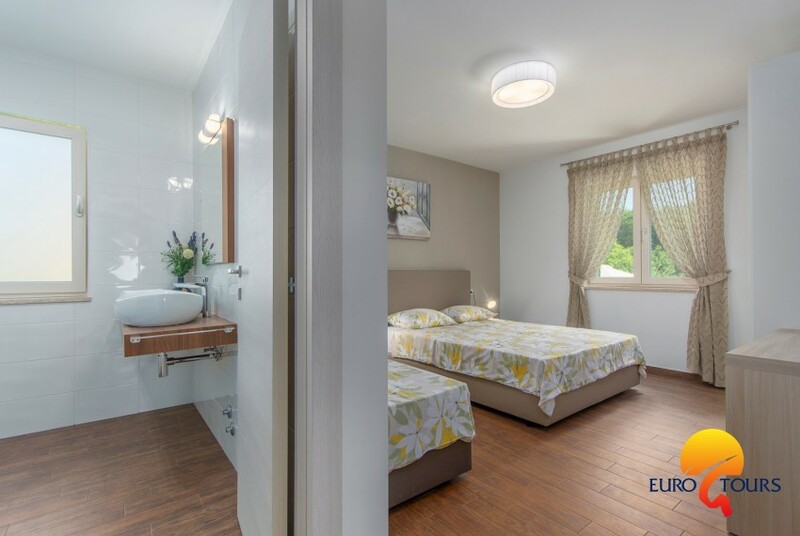 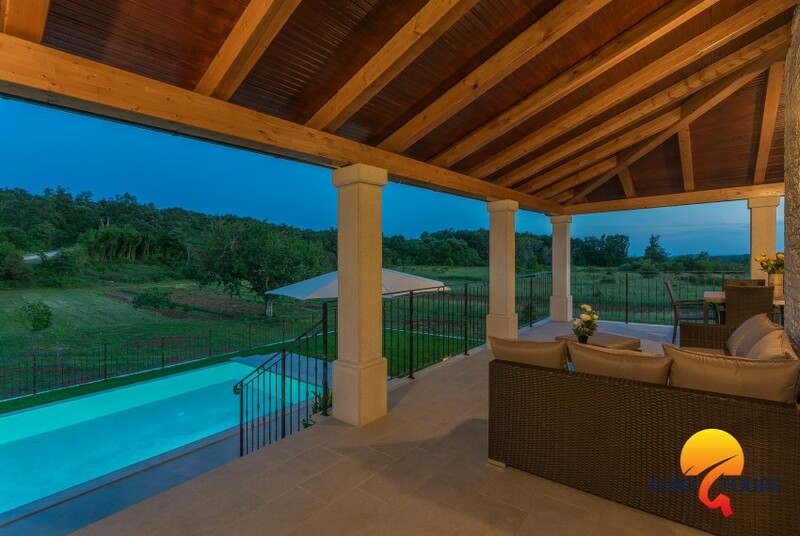 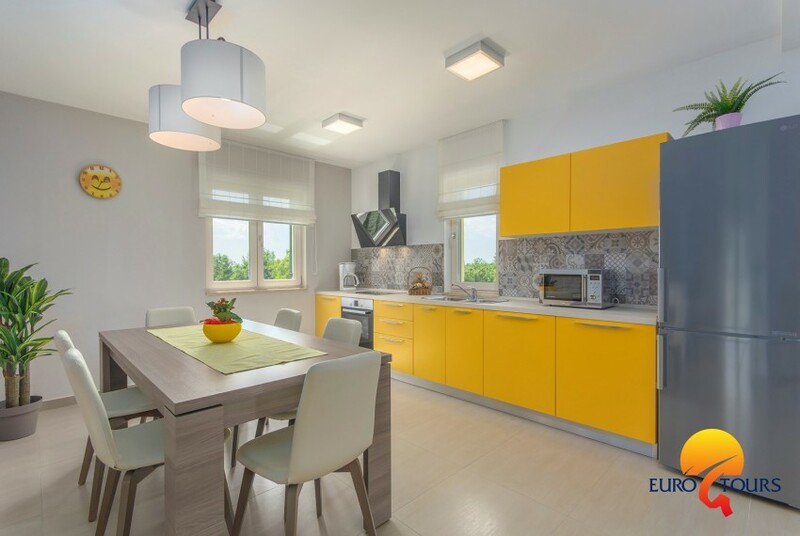 Istria offers a wide range of accommodation: private apartments, holiday houses, villas with pool, and restaurants with a rich gastronomic offer.